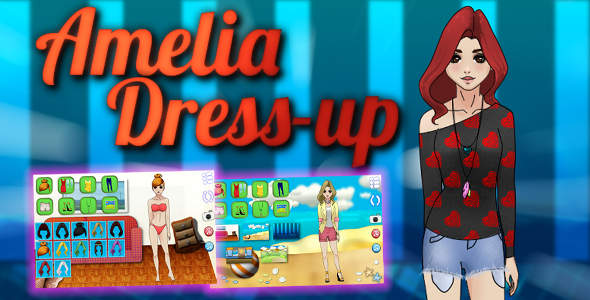 Help Amelia to get stylish in this lovely dress-up game. Get creative and find your favorite style. There is nearly one hundred items to choose from in five categories like: dresses, T-shirts, shorts, skirts, sweaters, skirts, accessories, shoes, shirt and also some different hairstyles. Once you are finished to dress-up, finally pick one of the backgrounds and just click snapshot button to preview Amelia in fullscreen. Game includes Construct2 game project for easy editing and exporting for mobile platforms. 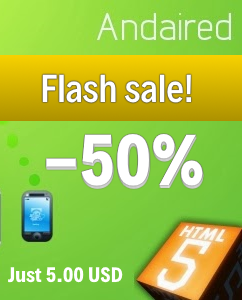 Android game template is now available for sale.